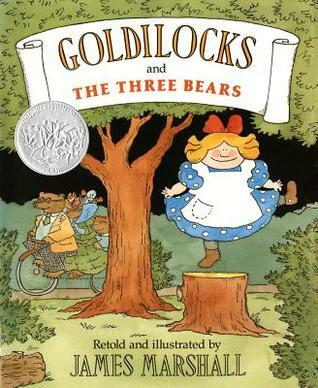 Whenever I pontificate about the health of the American economy, I feel like Goldilocks. Instead of arguing that the economic porridge is too hot or too cold, or that the economic bed is too hard or too soft, I conclude that we’re stuck in the middle. We generally outperform Europe’s high-tax welfare states, but we usually lag behind the small-government tiger economies of Asia. But while Goldilocks always liked the middle option, I obviously think we should be more like Hong Kong and Singapore. With this bit a background, let’s look at some supposedly really bad news that actually is modestly good news. The folks at the Pew Research Center just issued a major report on income trends over the past 40-plus years. Based on their headline, you would think it’s filled with horrible news. Sort of like saying the economic porridge is way too cold. So is it true that the middle class is “losing ground” and “falling behind”? Michael Fletcher, writing for the Washington Post, seems to accept that spin. He opened his column by portraying the report’s findings as a sign of dystopian inequality. After more than four decades of economic realignment and creeping inequality, the U.S. middle class is no longer the nation’s majority. Yet even he was forced to acknowledge that this supposed “tipping point” is primarily the result of more households earning more money. The nation has arrived at this tipping point in part because more Americans are moving up the income ladder. In 1971, just 14 percent of Americans were in the upper income tier, which Pew defined as more than double the nation’s median income. Now, 21 percent of American households are in that upper earning category — at least $126,000 a year for a three-person household. Though he does his best to find a dark lining to this silver cloud, using loaded language to imply that those with modest incomes are disadvantaged because income is being “captured” by the rich. …at the same time, many Americans are falling behind…. In 1971, a quarter of American households fell into the bottom earning tier, which Pew defined as less than two-thirds of the nation’s median income. By 2015, 29 percent of American households fell into that category. …The decline of the middle class has been accompanied by growing inequality, as a growing share of the nation’s income has been captured by those at the top. But the Pew Report confirmed that the economy is not a fixed pie. Yes, the rich have become richer, but even Mr. Fletcher concedes that their income gains are not at the expense of the less fortunate. This is because the rest of us are becoming richer as well. …Americans of all income levels have grown more prosperous, Pew found. Middle class families have seen their income grow by 34 percent in inflation-adjusted dollars since 1970, while lower-income Americans have experienced income growth of 28 percent. He also reports that African-Americans have enjoyed above-average income growth. …black Americans have made more economic gains than others in recent decades. Between 1971 and 2015, for example, the share of black Americans in the upper income tier more than doubled to 12 percent. Here’s a chart from the Pew report. Note that these numbers are not based on changes in actual income, but instead measure how each group is faring relative to other slices of the population. Maybe I’m just a naive Pollyanna, but the numbers in the Pew Report, even as characterized by the Washington Post, don’t seem like a damning indictment of American society. Indeed, they sort of validate my view that things are getting better over time, albeit not as quickly as they would be improving if we followed the right recipe and had smaller government and less intervention. In other words, we may not have hot, Hong Kong-style porridge, but it’s at least room temperature. But Scott Winship of the Manhattan Institute is the real expert on these issues, so I was happy to see that he wrote an article on the Pew study for National Review. Here are some of his key observations, starting with the essential insight that it’s much better to focus on income trends rather than income distribution. Pew’s definition of “middle income” isn’t anchored to any fixed standard of living. In fact, it represents a rising standard of living over time. Imagine that the incomes of the poor, middle, and rich all increase by 50 percent over time. The Pew measure would indicate that the share of adults who are “middle income” would be no higher than it was initially. It is not obvious why we should care that the middle class, in this example, is no larger over time. Amen. This is the same point I make when criticizing dishonest poverty analysis. We should care about whether living standards for ordinary people are increasing, not whether rich people are getting richer. Scott then looks at those income trends and finds good news. …between 1969 and 2007, the household income of the median adult rose by 52 percent. …the 25th percentile (the income of the person poorer than 75 percent of adults) rose by 40 percent from 1969 to 2007. …While middle-income adults, by Pew’s definition, have shrunk by 11 percentage points as a share of the population since 1970, 7 points of that decline is due to more Americans’ being in the upper-income group. …Using the Pew measure of household income, the middle fifth grew richer by 53 percent from 1969 to 2007. My preferred measures showed a rise between 54 percent and 64 percent, depending on whether one adjusts for declining household size. …poor and middle-class Americans are both substantially better off than 45 years ago. Now let’s shift to what really matters. The left very much wants to focus on the distribution of income as part of their “inequality” campaign. If they can convince people that the economy is a fixed pie, and combine that falsehood with rhetoric about higher incomes earned by the rich, that bolsters their case for ostensibly saving the middle class with soak-the-rich tax policies and greater levels of redistribution. And that probably explains why the folks at Pew (along with certain journalists) decided to imply that the glass is 90 percent empty when it’s actually 60 percent full. Winship hits the nail on the head in his conclusion. A policy agenda designed with a crumbling middle class in mind is not only inappropriate, but it could actually hurt the living standards of the middle class in the process. Nations such as Greece and France have pursued the policies favored by American leftists and the net result – at best – is anemic growth and stagnant living standards. To conclude, here’s a video that I saw on Ted Frank’s Twitter feed. I couldn’t figure out how to embed it, but was able to download it and put it on YouTube. You’ll notice a big jump over time in the amount of households earning above $200,000 per year. Call me crazy, but I want there to be more rich people, so this is a good development. But if you play close attention, the other big takeaway from this data (and the one that merits some celebration) is that more and more people are earning higher and higher levels of income over time. And remember, these are inflation-adjusted dollars. So let’s be happy that ordinary people in America are climbing the economic ladder. But let’s recommit ourselves to fight harder for pro-growth policies such as tax reform and entitlement reform so their ascent up the ladder will be faster. P.S. Here are some examples of how statist policies increase inequality. P.P.S. The comparative data on income trends and inequality in the United States and Scandinavia is worth perusing. P.P.P.S. And I never get tired of sharing this Margaret Thatcher video because she succinctly explains that many leftists would rather hurt the rich than help the poor. They only save the numbers from being obviously silly by comparing things that are merely similar rather than identical. If they had said, “20% of Americans are in the bottom 20%! !”, hopefully anyone with an ounce of sense would respond, “well, duh, of course”. So they just complicate it up a bit by saying “29% have less than 2/3 the median”. Which means what, exactly? Unless everyone’s income was exactly the same, of course half will be below the median. I suppose there could be some statement about the difference between the richest and the poorest here, but even that doesn’t seem to be the point. They raise the alarm: Half of Americans have below average incomes! And we’re all supposed to panic.